FALLS CHURCH, Va., Oct. 17, 2011 -- Two Northrop Grumman Corporation (NYSE:NOC) employees were honored this weekend at the annual conference of the Society of Women Engineers (SWE), held in Chicago. Januca Berry received an Emerging Leader Award in the field of Quality and Nora Lin received a Fellow Grade award, in recognition of her continuous service to the advancement of women in the engineering profession. Berry is a manager of Mission Assurance, in the Intelligence, Surveillance, and Reconnaissance Systems Division at the company's Electronic Systems sector in Linthicum, Md. In this position, Berry ensures the business area is compliant to processes and procedures, providing audit effectiveness, managing continuous improvement initiatives, risk management, product verification and validation, and program management assistance. Previously, Berry was co-chair of the RF/Microwave Commodity Design Team, and advised design teams on supply chain requirements and specifications. She worked on more than 100 programs, creating a database for cross functional teams to use, in addition to 400 technical specifications for components and assemblies. Berry earned a Bachelor of Science degree in electrical engineering from Morgan State University and joined Northrop Grumman in 1998. Berry is an active volunteer. She chairs the Professional Development and Mentoring Committee for Northrop Grumman's African American Task Group. She visits middle schools to spark students' interest in engineering as a part of Northrop Grumman's DiscoverE program. Lin is currently a Systems Engineering manager and on a rotational assignment as an Engineering Program Manager at the company's Electronic Systems sector in Rolling Meadows, Ill. She is responsible for technical leadership, system design and development, cost and schedule management, proposal preparation and program staffing, among other projects. 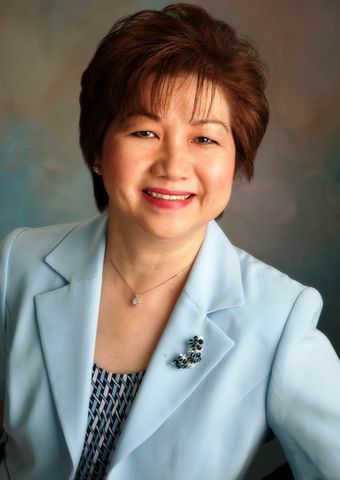 Lin began her career as an Associated Scientific Programmer, advancing to become a technical lead/manager in Software Engineering and led teams with various sizes to develop relational database applications and real-time software for several military programs. Lin, a naturalized U.S. citizen, was born and raised in Taiwan. She received her Bachelor's degree in physics in Taiwan and earned her Master's in physics from the University of Alabama in Birmingham. Lin joined SWE as a senior member in 1997, became a Life member in 2003, and has dedicated herself to advancing SWE's mission. She has held various SWE leadership positions at local, regional and national levels, including president, regional director, Region H governor, Section Vitality Task Force chair, and SWE Chicago Regional Section president. She has mentored many women engineers throughout her career and works closely with many SWE collegiate sections. Lin is actively involved in the Northrop Grumman Women Engineers (NGWE) group and encourages members to take leadership in SWE and in engineering. In 2002, she led the group that established NGWE and served as the first chair. Under her leadership and influence, SWE membership has increased and participation at the SWE annual conferences has expanded greatly. Lin also supports the company's outreach programs, such as tutoring, DiscoverE, Connecting to Educators to Engineering, among others. Lin has received many awards in her career. Most recently, she received the Women of Color in Technology Career Achieve Award in 2008 and the Asian American Engineer of the Year Award in 2009. She also received numerous awards and recognitions from SWE-CRS and the Heartland Region. Northrop Grumman is a leading global security company providing innovative systems, products and solutions in aerospace, electronics, information systems, and technical services to government and commercial customers worldwide. Please visit www.northropgrumman.com Â for more information.